The biggest night of the year for movies is coming up on Feb. 24, 2019, when the Academy of Motion Picture Arts and Sciences will honor what it has decided are 2018’s best films. The #OscarsSoWhite controversy began in 2015, and by the following year, the Academy’s then president Cheryl Boone Isaacs had pledged to double the number of members who are women and people of color by 2020. In June 2018, NPR reported that “the Oscar-granting body has invited a record number of 928 new members, making the 2018 class the largest in history. … Should everyone who has been invited actually agree to join, it would raise overall female membership from 28 percent to 31 percent, while non-white participation would inch up from 13 percent to 16 percent.” Can the Academy live up to its 2020 goal? Lee mentions Crazy Rich Asians, Widows, and Blindspotting as movies that should have been nominated. Let’s take a look at various reviews of and reactions to each Best Picture nominee. All synopses are from oscar.go.com; posters are from imdb.com. After the death of his father, Prince T’Challa returns to his African homeland of Wakanda, which has hidden its wealth and advanced technology for generations. 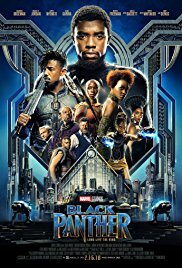 T’Challa assumes his father’s throne and must also accept his mantle as the superhero Black Panther to protect Wakanda from numerous enemies intent on pillaging its resources. In the early 1970s, Ron Stallworth becomes the first African-American officer in the Colorado Springs Police Department. 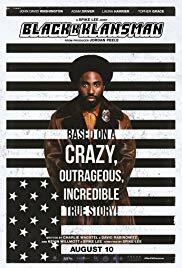 Hoping to distinguish himself, Stallworth organizes an investigation into the local chapter of the KKK, recruiting Jewish officer Flip Zimmerman to go undercover and infiltrate the hatemongering organization.